Hero MotoCorp is cashing on the festive season and is launching new products. The updated Hero Splendor Pro has been launched in India at Rs 46,850, ex-Delhi. This updated motorcycle brings in electric start, new visor, clear lens indicators, new graphics and fuel tank. A wider grab rail, body coloured mirrors and a new instrument cluster with a side stand indicator are the other changes. Powering the motorcycle is the tried and tested 100cc motor which makes 8.36PS/8.05Nm. 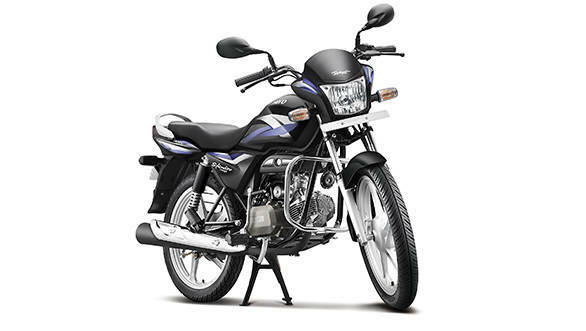 The motorcycle is available in four variants and comes with a five-year warranty. Along with the Hero Splendor Pro, the company has also introduced two new colours for the Splendor iSmart - Black Boon Silver and Black Sports Red. Sales for the new Hero Splendor Pro and Maestro Edge start from October 13, 2015.